How many times have you been on holiday here and thought how wonderful would it be to have your own place on this beautiful island? Let’s face it, the Ibiza property market (both buying & renting) is hot – now more than ever! Looking for the right property can become quite tricky and time consuming. If you are looking for a new home, where do you start? How do you pull the relevant information if you don’t speak Spanish? If you are a home owner, who do you contact for maintenance? If you have a property and want to sell it, where do you start? Well, luckily for you we have the solution. Not to brag or anything (ok, maybe just a little bit), but Ibiza Property Guide is your stress-free key to the Ibiza property market. The website offers, all under one roof, reliable information and resources to help you navigate easily within the Ibiza property market. It includes a guide section, a business directory and a wide property listing. The guide section lists 4 main subcategories: Buying, Maintenance, Living in Ibiza, Legal Guide. Each section focuses on a specific aspect of the process, addressing all the relevant issues, providing tips, suggestion and guidelines – from finding a reliable real estate company and sorting out the paperwork needed to buy a property on the White Isle, to understanding the real costs of owning a property in Ibiza, how to deal if you are buying to rent and how is living in the different municipalities of the island. 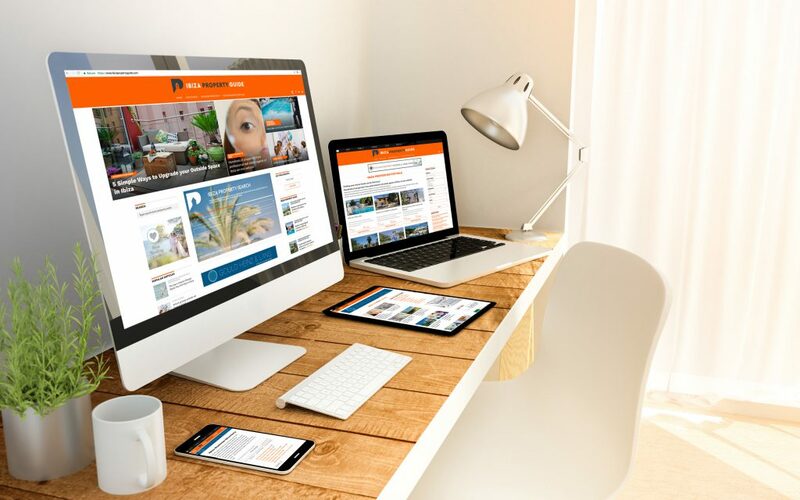 Business directory focuses on professionals of the sector, giving you the chance to connect directly with whatever other service you may need – from real estate companies, gardeners, architects, construction companies, home technicians, interior design and so much more. Get in contact with local companies has never been so easy! The latest section features properties for sale in Ibiza by an exclusive group of selected Ibiza agents. Don’t need to search among hundreds of real estate websites anymore, this curated section offers the best properties available on the island. Whether you are looking for a charming rustic Ibicenco finca, modern villa, luxury penthouse, sea views apartment or a plot for investment – with one click you can get in contact now with the relevant real estate agent.